With criminal activities rising at a turbulent rate, safety has become a matter of great concern amongst people. Just the thought of getting robbed off their hard earned money and valuables, frightens people to their writs. It panics some people awfully. When an intruder breaks in, it jeopardizes both, the property and life. Nobody can predict the mindset of an intruder; he can either loot the household or gun the family members down, or both. Such extreme situations give rise to sense of security in people. Deploying security guards for 24 hours protection is a good option; however, there are still some loopholes that need to be addressed, in order to ensure comprehensive security. Home security alarms, more specifically hooters and buzzers have emerged out to be the final resort, people are left with. It gives a considerable satisfaction that a watchdog is there to protect their life and possessions. 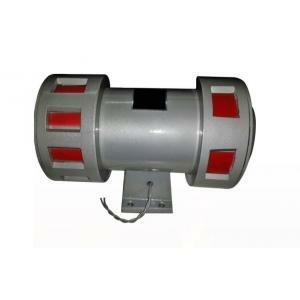 Moreover, even if an intruder manages to break in, you have an additional layer of protection, a hooter and buzzer that will help you to raise an alarm that will ultimately make the intruder drop his evil intentions. Moglix has a range of genuine hooters and buzzers, from fire safety to burglar protection that provides you all-round indemnity, and a great peace of mind. If you are looking to buy Hooters and Buzzers online, then Moglix will undoubtedly turn out to be a one-stop-shop solution, to meet and, exceed your diverse expectations. Search, compare and purchase from a wide assortment of hooters and buzzers. Abiding to the ever increasing quality standards, Moglix has made a pre-requisite that every product, stocked on the portal, will have to meet specific quality standard, in order to be eligible to be sold at Moglix. Moreover, choose from a number of premium brands, such as, Palladium, SKP, Westec, Flame, Palex and, Godrej.